Mackenzie provided comprehensive A/E services for this two-building, build-to-suit development on a 10.5-acre brownfield site. Building One, a 110,000 SF tilt concrete building with 26’ clear, includes warehouse (90,000 SF), office (12,000 SF), showroom (4,000 SF), and maintenance shop (4,000 SF) functions. A 950 SF training room accommodates architectural continuing education courses, roofing seminars and subcontractor events. The flexible ground floor showroom and sales room features an industrial aesthetic to highlight Dealers Supply products. 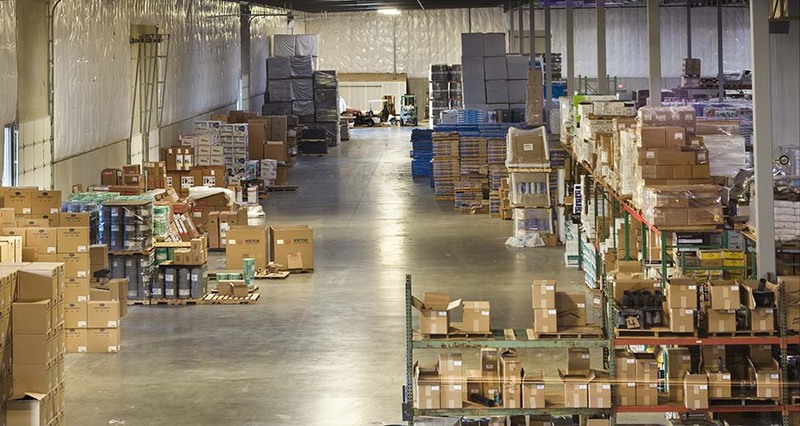 Building Two is a 48,000 SF exterior storage facility of concrete tilt construction with a metal roof deck and 22’ clear height. 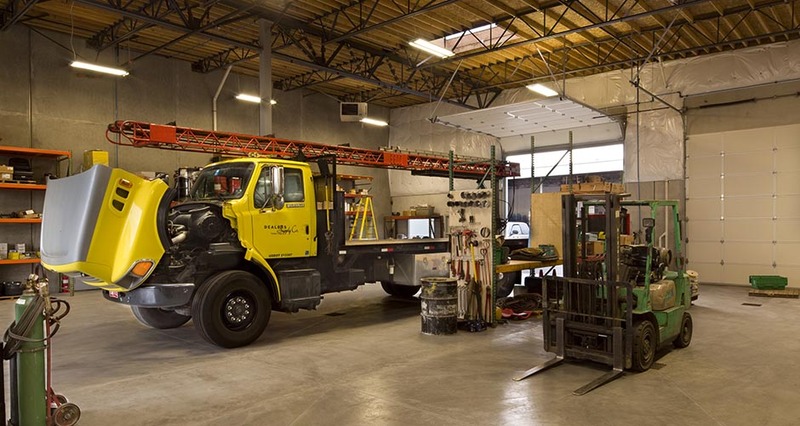 Founded more than a century ago in Portland’s Central Eastside as a feed and grain business, Dealers Supply entered the building construction supply business in the 1960s. 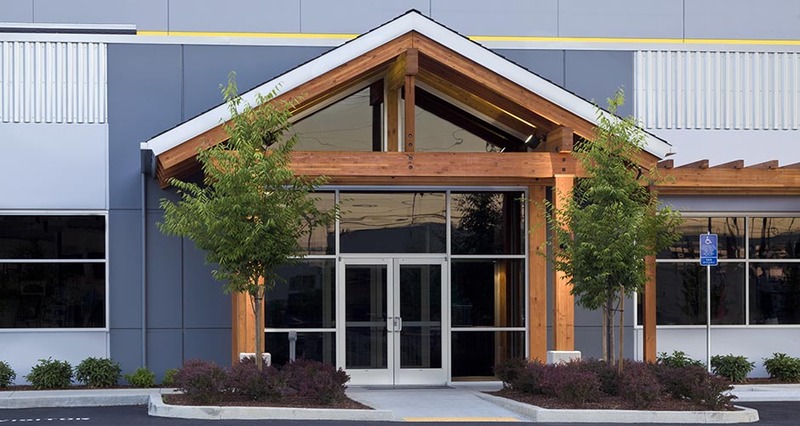 The company now specializes in roofing materials. 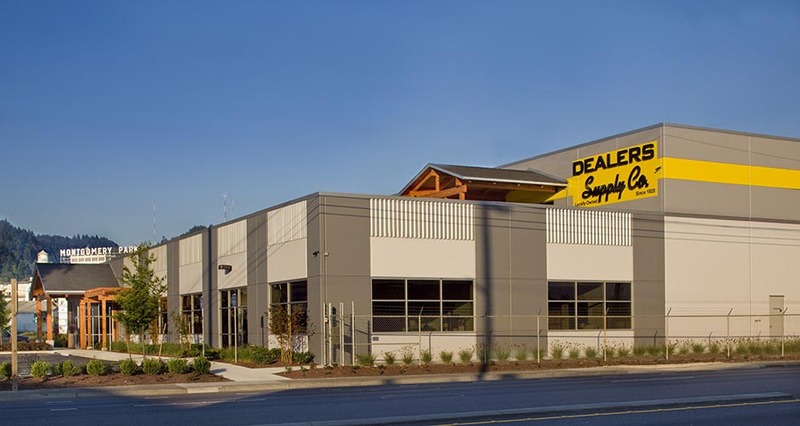 Mackenzie’s incorporated numerous materials—three roofing systems (built-up roof, modified Bitumen, and an ERMA roof), roof insulation, roof deck paving, sheet metal, flashing, exterior paint—provided by Dealers Supply into the project design. Building One features a green roof and patio above the office. 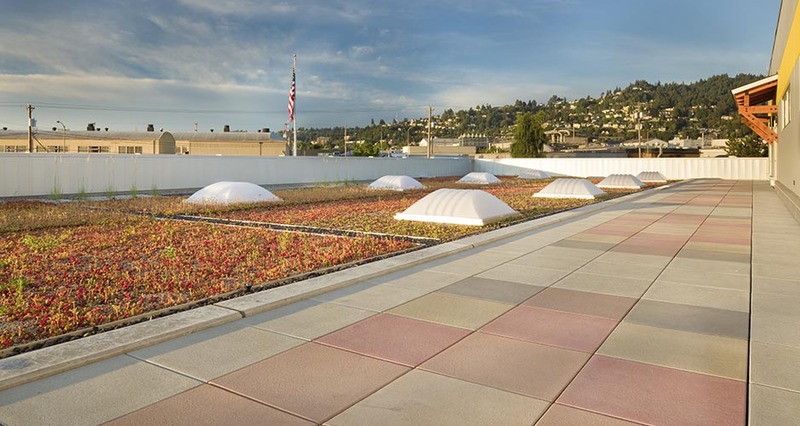 Showcased via the second-story showroom and conference rooms, the green roof is used as a demonstration area for other building developers, contractors, clients and contactors to visit. It includes a concrete deck with rubberized asphalt membrane, varying types of green roof systems, and pedestal pavers. The site design considered demolished concrete foundations and an existing retaining wall that remained following remediation of the site by the prior owner. Site improvements include a constructed gravel outdoor storage area, three water quality ponds, and a series of water quality swales between the building and Highway 30 (NW Yeon). Sidewalk and street improvements along NW Nicolai were developed to City of Portland standards. Mackenzie coordinated with ODOT and PBOT for street access/improvement requirements, including stormwater rain gardens, and with Pacific Power for the existing overhead power lines that remained on site.